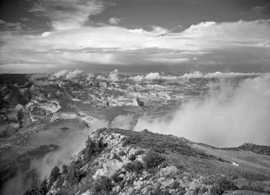 The View From Roundtop, Dinosaur National Park, Utah-Colorado, 1951 by Philip Hyde. One of Dad’s pictures shows Charlie Mantle’s Castle Park house with the landscape architect’s jeep parked in front. Dad took a dozen or more documentary and landscape photographs while waiting. 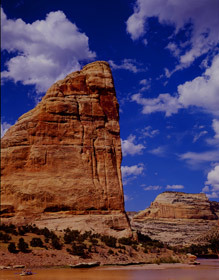 Some of the photographs show the round castle-like buttes across the river, the inspiration for the name Castle Park. Charlie Mantle fixed the tank in just a few hours but he allowed Ardis and Philip Hyde to look around the area extensively. Today it takes a river raft or a four-wheel-drive vehicle to reach Castle Park. The road to Castle Park was not the only harrowing road experience the young couple went through to see the country. We arrived up there around noon and the light was rather mediocre. We were there quite a while though getting antennas, etc, up and around 2:00 pm it began to get cloudy. I really should give you a little background—such as the many stories we’d heard about these dirt-clay roads when wet and the cloudbursts that one could expect in this country—So when the rain started pelting the little tent-house roof we could let our imaginations go a long way. After about an hour it cleared up, but Boon wouldn’t leave until he was sure the radio worked. Four o’clock came and no success and 4:30 brought another hour of pelting rain and greater doubts about our return. But when it cleared those ideas were quickly driven out of my head when I went outside and looked toward the Yampa River canyons, now shining in that beautiful, warm, late sunlight with long shadows. Here and there among the canyons white wisps of cloud were trying to make their way back to the sky. If I had ordered a perfect set of conditions it could not have been better. My shutters were literally smoking or steaming when I got through. The ride that followed down the mountain over clay-mud roads for some two and a half hours was an experience I don’t think Ardis and I will ever forget. It was one of those experiences you wouldn’t miss for the world, but would debate a long time before taking on again. But for the excellent driving and judgment of Boon MacKnight we would probably have slept that night on the mountain or maybe met some worse fate. But bring us through he did—over some 50 miles of sliding, slipping, sloshing, muddy morass. A paved highway has never meant quite so much, and I’m sure never will, as that black ribbon of firmness meant that night. 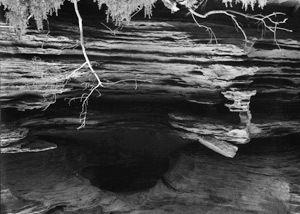 The canyon country mud irritates eyes, rubs into the pores of skin, cakes under fingernails and sticks in the pockets of clothes. 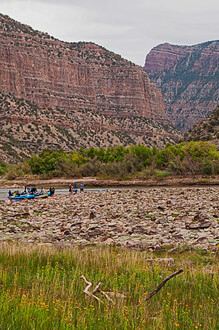 The rivers of the Southwest are heavy laden with it, which is why the dams of the Colorado River system are each filling with silt from the upper end. 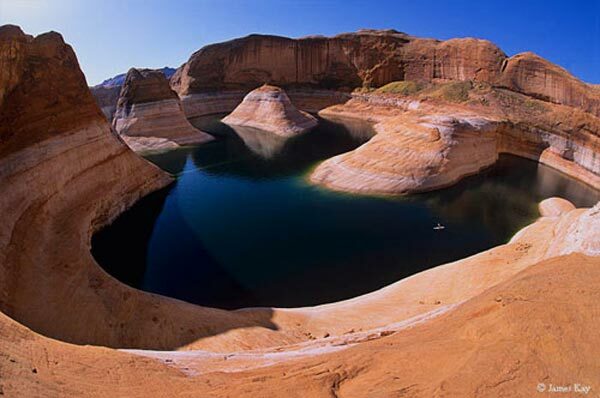 Even as little as five years after Glen Canyon Dam backed up “Lake” Powell downstream from Dinosaur National Park on the Colorado River, at the reservoir’s upper end miles of mud flats had already accumulated. Dams in the Southwest are like giant strainers, slowing the water down and allowing the finest mud in the world to settle out. Besides the disadvantage of creating vast silt beds, of degrading surrounding habitats and many other harmful environmental impacts, even the economic soundness of large dams world-wide has come into question, reports a study by the World Commission on Dams, a coalition of industry and environmental groups. 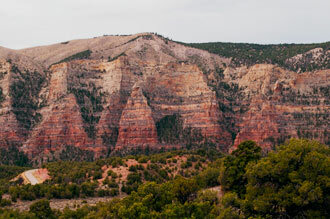 The long-term viability of dams in the arid Colorado Plateau region is now especially doubtful as evaporation rates have proven much higher than anticipated by the U.S. Bureau of Reclamation. The Bureau of “Wreck-the-nation” as environmentalists called it, and the Army Corp of Engineers, were the two government organizations responsible for building an estimated 2.5 million dams in the United States, said Time Magazine. Every Engineer knows that all dams will eventually fill with silt. David Brower in For Earth’s Sake said the Bureau of Reclamation must have encouraged their engineers to pad figures to make the dams plausible. 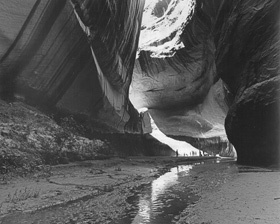 David Brower believed in fighting all environmental destruction, but in the 1950s even conservation organizations like the Sierra Club, The Wilderness Society, National Audubon Society and the Izaak Walton League were in favor of some dams because in the post-World War II political climate they did not want to appear against progress. In the early days of modern environmentalism, the organizations opposed dams if they threatened to flood a National Park or an exceptionally beautiful landscape. Early environmentalists had little political power, but the Dinosaur battle changed all of that. The burgeoning movement discovered it could influence public opinion and move Congress with enough publicity, lobbying and letter writing. 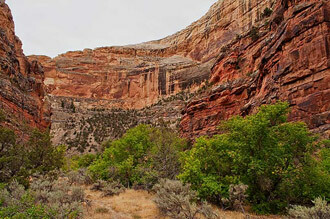 The battle over the dams in Dinosaur National Monument centered on preserving the protected status of the National Park System. 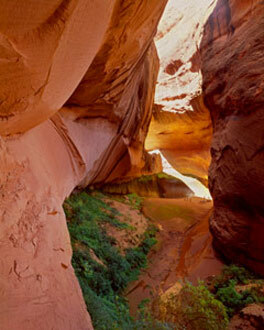 Because of this intent, an even greater loss occurred, that of the spectacular canyons and grottos of Glen Canyon downstream on the Colorado River. 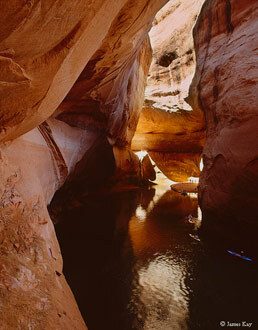 Glen Canyon was never protected by a National Park or Monument. 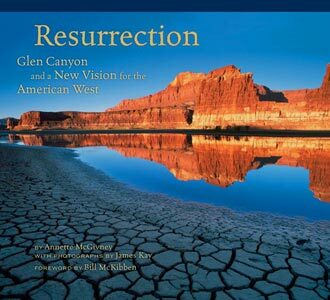 Therefore, the majority of Sierra Club leaders who had never seen Glen Canyon considered it a worthy sacrifice to withdraw opposition to the proposed dam there, if dam proponents and Congress would guarantee the sanctity of the National Park System. 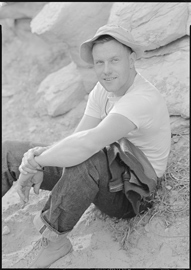 Certain Sierra Club leaders, like Martin Litton, had seen Glen Canyon and called for the Sierra Club and its allies to continue opposition to the many proposed dams of the entire Colorado River Storage Project. 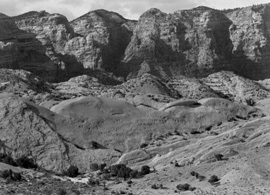 Martin Litton and others supported a proposal for an Escalante National Park before World War II and the later Dinosaur battle, but after the Japanese bombing of Pearl Harbor, the idea of an Escalante National Park remained in the background. In the 1950s and 1960s, the two decades of peak dam construction in the United States, the government built dams mainly as pork barrel projects to provide jobs and financial stimulus to less developed areas of the country, explained Patrick McCully in Silenced Rivers: The Ecology and Politics of Large Dams . To begin with, the Dinosaur projects were the same. In recent years dam construction has declined world-wide, as the movement against dam building gains momentum. Time Magazine said that in the United States over 600 dams have been dismantled, including 175 this decade. Dams in the Southwest interfere with several natural processes crucial to river ecosystems: Dams prevent the large floods that used to clean out brush and the overgrowth of weeds. Floods deposit fresh sand bars and form pools and small mudflats that provide breeding, feeding and spawning grounds for native species of fish, birds, reptiles and mammals, Jeffrey Mount wrote in California Rivers and Streams: The Conflict Between Fluvial Process and Land Use . 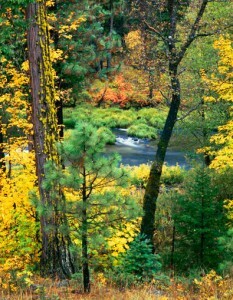 The non-native and highly invasive Tamarack tree took hold since the end of the largest annual flows. None of the dams in the Colorado River Storage Project generate the level of electricity for which they were engineered. As Marc Reisner points out in Cadillac Desert, Reservoirs raise the salt content of the river and this effect compounds yearly, decreasing irrigated crop quality and yield. Hydropower is not even a clean energy, as scientists have discovered, because reservoirs emit green-house gases, Patrick McCully points out in Silenced Rivers: The Ecology and Politics of Large Dams .